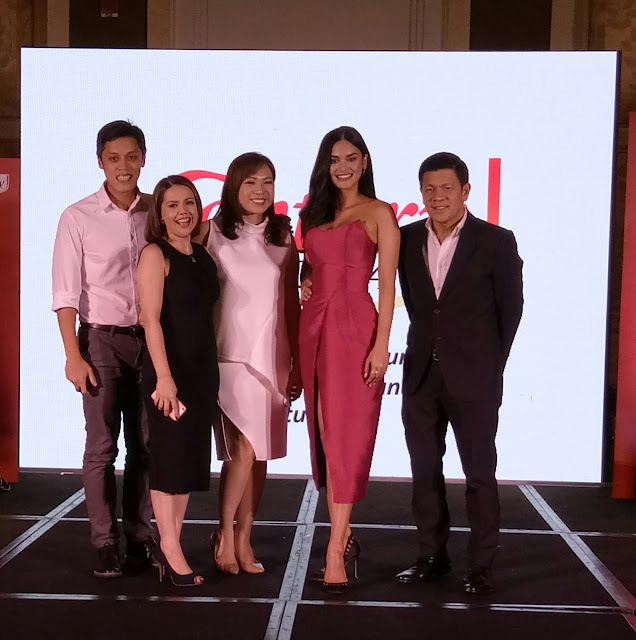 Century Pacific Foods, Incorporated had its media launch for its new endorser at the Rizal Ballroom A of Makati Shangri-La. The leading tuna brand in the Philippines, #CenturyTuna provided variety of chunks tuna over the years and has been home of illustrious celebrities as their outstanding roster of endorsers. Interesting to know that the first endorser of #CenturyTuna was the first Filipina Miss Universe Gloria Diaz as they played it during the launch. It was unknown to me that Miss Universe 1969 was once their queen. And it came to me as an astonishment. Before leading to the sumptuous dinner and prior to the launching, members of the press and bloggers participated on a photo and video social media contest, where they were asked to pose and to post it for a chance to win an exciting prize. I was unlucky I did not win because I didn't write the appropriate hash tag for the event. Headlined as the new #QueenoftheCentury, the third Filipina Miss Universe, Pia Alonzo Wurtzbach was officially launched as their new endorser. #PiaforCenturyTuna was indeed a right choice. Being a woman with such wit, poise and being confidently beautiful with a heart, a truly and remarkable #CenturyTuna100percentwinner. Her self-discipline and well toned physique were the reasons why Pia hailed as #QueenoftheCentury for Lite. Pia regularly heads to the gym to achieve that ultimate super body with the help of a personal trainer. Combination of planking, tricep pull-downs, squats and lunges were her routine exercises for a flat and toned stomach, well-defined arms, shapely biceps and triceps and firm and strong looking legs. 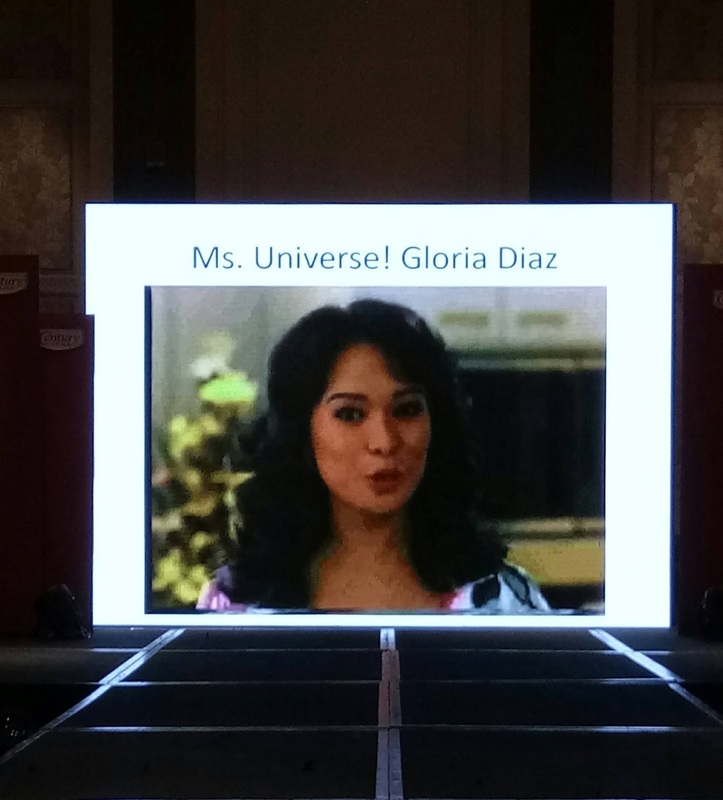 Pia shared that, " I've always been a #CenturyTuna girl. And this body you see is made possible by Century. " Unknown to many, Pia studied culinary arts, a healthy and balanced diet comes along with her exercise. #CenturyTuna made of 100% tuna is rich in Omega 3 DHA which is good for the heart that's why she like it. Perfect for her hectic schedule and duties as a goodwill ambassador and as the most popular Miss Universe. 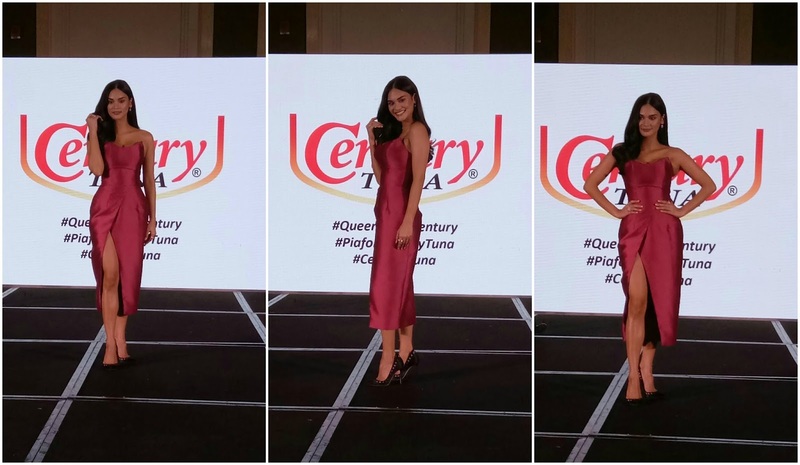 #PiaforCenturyTuna is fit as the new #QueenoftheCentury because #CenturyTuna100percentwinner. The Masagana Waterfalls in Puerto Princesa City. The best of southern Palawan in Onuk Island. Experience Disney And Ballet In " Your Highness "
The big picture in 13th Cinemalaya. The Love and Peace ambiance you need in Palawan. Isla Felomina, the new in Puerto Princesa City. A Moving And Mesmirizing Sister Act.